Maybe Next Year? 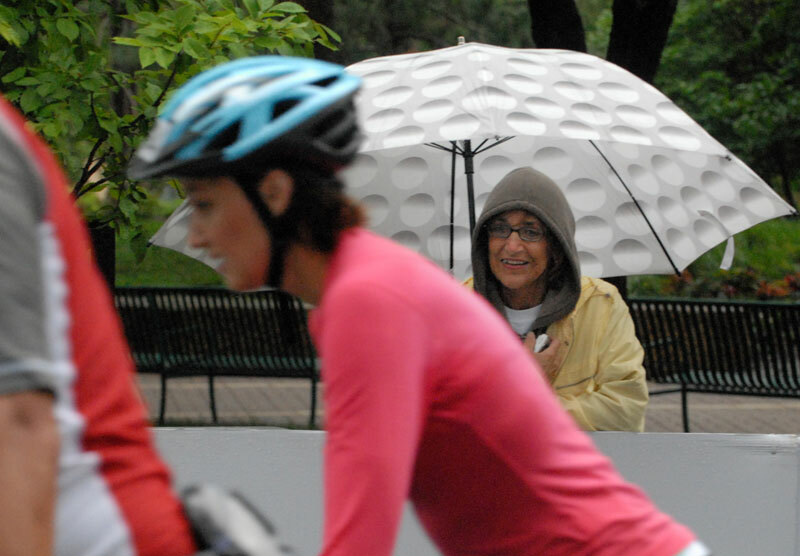 - A spectator watches skaters cross the finish line of the Saint Paul Inline Marathon. The rain put a damper on participation this year. Though 1473 registered, only 1082 skated.